There are many types of insects and rodents in Massachusetts and it's not uncommon for these pests to try to make their way into West Boylston homes uninvited. And with spring just around the corner and as the weather warms up many pests (including ants and termites) will become more active foraging for food, water and shelter. Now is the perfect time to think about pest prevention and how you are going to protect your home and family from the pests common to our region. If you don’t want to share your West Boylston home with ants, spiders, mice, stinging insects and crickets or any pest for that matter, the best way to ensure a pest free home is by getting help from trained Massachusetts’s exterminators at Big Blue Bug Solutions. Our pest control professionals have the knowledge and experience to tackle even your toughest pest problems. But before we expand on that topic, let’s take a look at how you can prevent pests from infesting your home. If pests have not yet found their way into your house there are many things that you can do to help prevent pests from stealing their way inside. Many insects and rodents will make their way inside through cracks and crevices in your homes’ foundation, so inspecting your foundation and sealing any openings is very important. Also spring is the perfect time to make sure that trees, shrubs and grasses are pruned and trimmed away from your home, if they are overgrown and too close to your house pests will use them as bridges into your home. You will also want to check your roof for loose shingles and make sure that your chimney has a tight fitting mesh cap on it. You will want to make sure that inside your home you are not unknowingly providing food and water sources; fix any leaky pipes and take garbage out regularly. Since dirty dishes left in the sink could attract pests, avoid leaving any in the sink for extended periods of time and especially not overnight. If possible food should not be kept on kitchen counters but rather in the refrigerator or in sealed containers in cabinets. Find out how you can maintain a pest free home all year long! Now if its too late for prevention because you already have ants in the house, located mouse droppings in the basement or have noticed other pests infesting, Big Blue Bug Solutions can help you get rid of pests. Avoid the headaches and hassles that come with pest problems with our home pest control in West Boylston. Designed to protect your home from pests and the problems they cause throughout the whole year, our residential pest control program consists of an initial inspection and treatment for you current pest problem, followed by three seasonal services visits to help ensure that your home is kept pest free. We also provide our customers with free emergency service. Available for homeowners in West Boylston as well as Worcester, Shrewsbury and throughout our Massachusetts pest control service area, call us today to get more information on how this program will protect your home and family from unwanted pests. In addition to resolving residential pest problems, we also offer restaurants, hotels, retail environments and other commercial facilities relief from their pest issues with our commercial pest control services in West Boylston. If you need help with a pest problem in your West Boylston home or business, please contact us today! 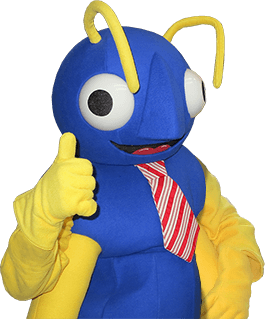 At Big Blue Bug Solutions, we’ve been helping homes and businesses in Massachusetts, Rhode Island and parts of Connecticut for over 80 years. Our technicians are continuously trained on all the latest pest control technologies and techniques and will work quickly and efficiently to ensure that your pest problem is taken care of. We understand how important your home or business is to you and will work with you until your problem is solved. So if your home is in need of Massachusetts pest control please contact us today to get more information on any of our pest control programs and solutions!